This page started from the "mystery TR" photo below sent in by Neville. Neville has another interesting photo waiting in the wings to excite your interest! The photos below were also taken at Amaroo Park where the above photo was taken. 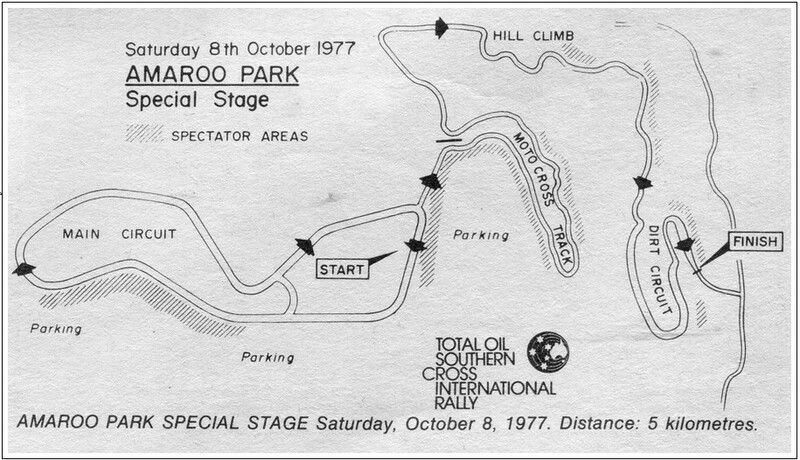 The next one shows the extent of the original circuit which included a hillclimb and dirt circuit. 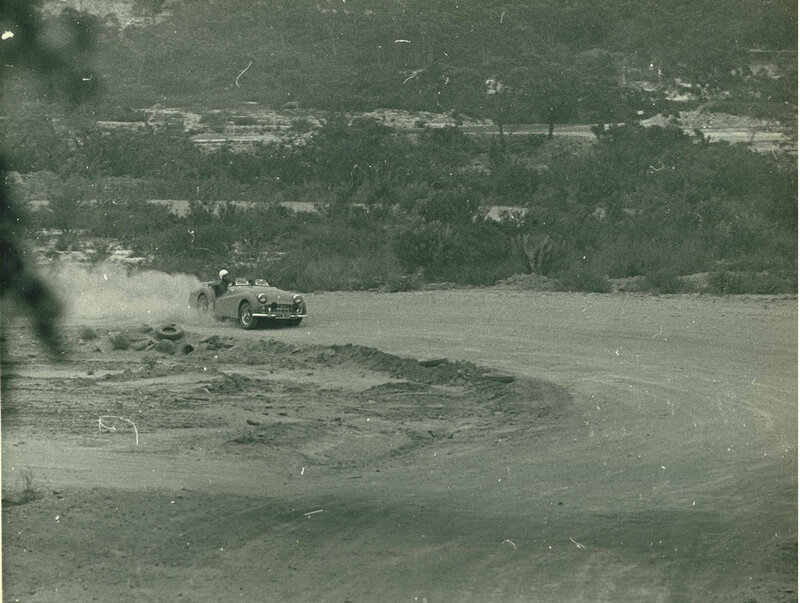 "The photos are from the Amaroo Dirt Circuit around 1967. For some reason, I remember the day well. I was running in production sports cars against a bunch of MG’s, Healys, Lotuses, Jags of assorted vintages, Sunbeams and a few TRs. 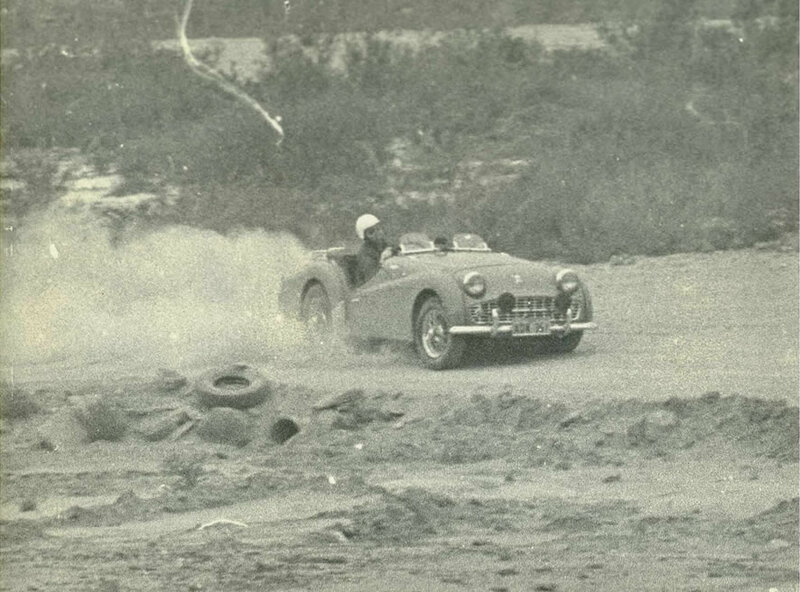 I remember one car which I think was a Healy launching itself into the scrub during the morning. As far as I can remember you started down a hill then there was a sharpish hairpin just ahead. By the time you got to the bend you were carrying much too much speed and had to find out how quickly you could slow the car down on a loose dirt surface. The car that exited the circuit almost made it around the first corner before finding they should have slowed down just a tad more. 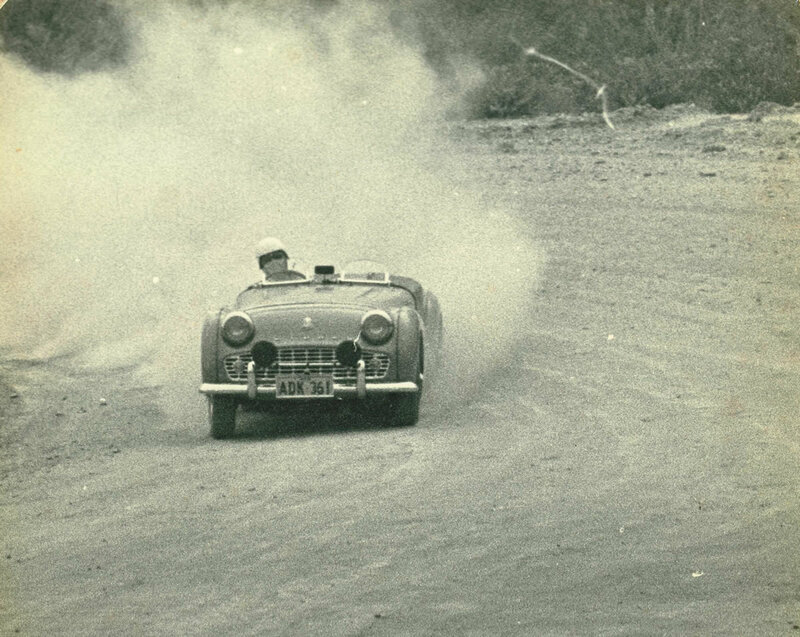 The dirt circuit had no fences or run off areas. One mistake and you were in the bush. The environmentalists would have loved the concept. Don’t cut down the trees. They might stop someone doing further damage to the pristine environment by stopping the cars. I did one or two runs in the morning and was sitting mid field. One reason I remember the day is that someone had told me to visualize the circuit before I did my run. Close your eyes and work out where you will brake, change gear and where to push the go pedal. And what lines to take through the corners which were often full of ruts. I spent some time going over the circuit in my head with two runs left. To my amazement it worked. I had much more time to concentrate on steering and squeezing the accelerator. It was like the rest of the car was on auto pilot. Anyway on the second last run I blitzed it and was in front by about a second. The last run was marginally faster. After my last run, when I had beaten everyone by about a second and a half, I kept getting people coming up to tell me I must have been cheating and it was not a production car. Next time I came to the dirt circuit, I was not allowed to run in production and was bumped up to improved production sports. Since I had rebuilt the car from a bare chassis I knew it was bog standard. I barely had enough money to afford the rebuild much less buy competition bits. 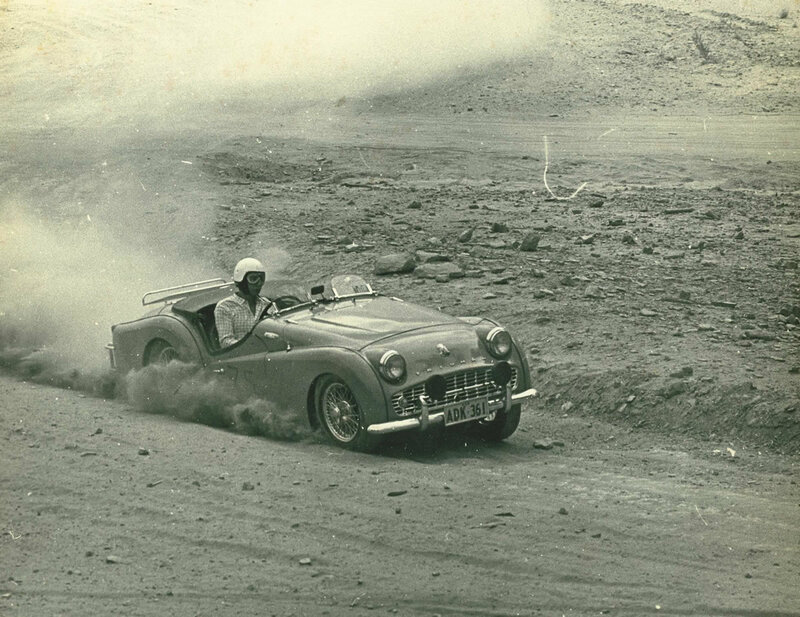 The dirt circuit was great fun but would never make it to first base for motor sport today. Far too dangerous. In addition it was a car breaker. The surface was full of ruts and holes. You were airborne more much of the time. Racing attire was never a consideration. In the second photo, you can see I am just wearing a shirt. Probably had shorts on as well. In the same shot you can see the tyre almost peeling off the standard 48 spoke wire wheel. In another photo you can see what the infield looked like. Piles of dirt and tyres strewn around. How did we ever live through those days?"